I used to love any kind of chips and dip. Finding out that you are supposed to stay away from corn…that was a sad sad day. Tortilla chips were no longer an option for me. So here is a recipe that uses rice flour instead! This recipe might take a couple takes to get it right but it’s inexpensive to make so you can try it a couple times to get it right. 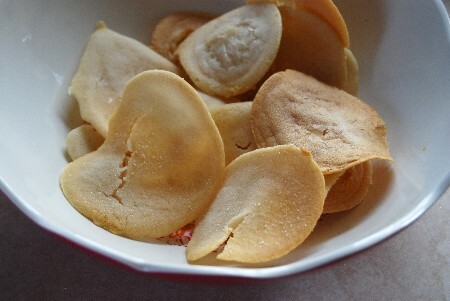 For this recipe I used rice flour that I bought but you can always make your own rice flour too! 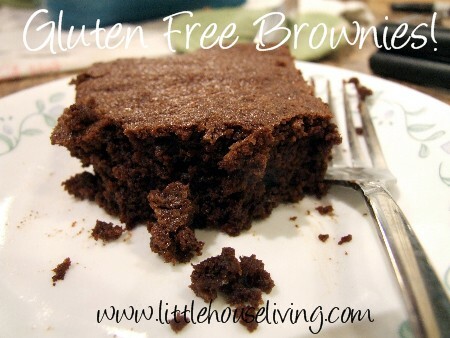 You could also just use my recipe for All-Purpose Gluten Free Flour in place of the flours in this recipe as well. Mix together the flours and the oil. 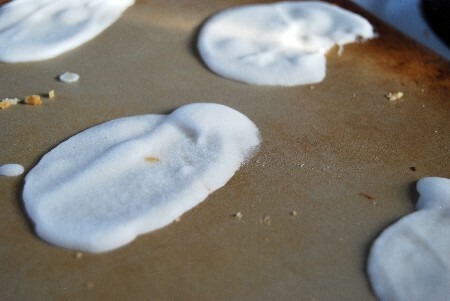 Drop by spoonfuls onto a greased cookie sheet. Sprinkle a little salt on the top. Bake at 400F for 15 minutes. Half way through, flip them over. And that’s all there is to it! Enjoy in your favorite Homemade Salsa Recipe or in another great recipe such as this Cream Cheese Taco Dip. Catch up on all the Rice N Beans articles that we’ve posted! 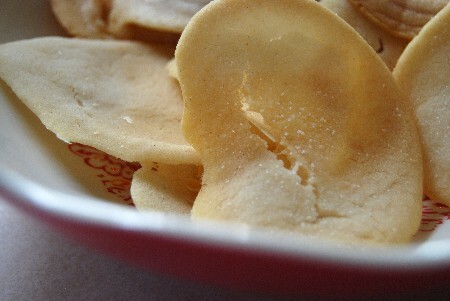 Do you think you will give this Homemade Rice Chips Recipe a try? I have to try these. Maybe they will take the place of the rice crackers that I pay a fortune for. Thanks! OMG thanks for posting! I live on a GF diet and need more snack options. I’m getting real sick of nachos. thank you thank you! Can’t wait to try this. Oh thank you. I’m GF and I need more recipes I can make myself. Those chips look absolutely yummy. Okay, my question is how do they TASTE? I love the idea of making a corn-free tortilla chip….but a lot of substitutes seem “flavor free” also…On the other hand, if the salsa or guac is good enough you could probably dip cardboard into them and they’d taste OK, but how do the rice chips taste by themselves? I was the tester on these, they taste like rice, of course, but they have good texture, so like you said good dipping chips! I *think* they should be fine….let us know! Fantastic recipe. My father is gluten-intolerant so finding foods that aren’t so pricey can be a major pain. 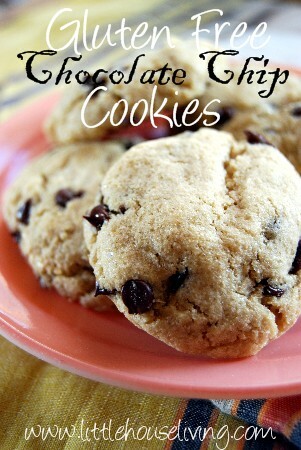 These are simple to make and rather easy to dip with anything. It’s hard because he is also lactose-intolerant. Any suggestions for toppings and what not? I was thinking chopped tomatoes, garlic, and onion with some basil and olive oil and vinegar. Sounds pretty healthy along with tasty. Any other suggestions would be appreciated also. Hi Andrew, Have you heard about JJ Virgin’s diet book? I also have Gluten and dairy food intolerance and her book helped me a lot. She got a cookbook with alternatives food. Made these today. Quite good. Tried to add coco powder and powder sugar- burned. Ew. 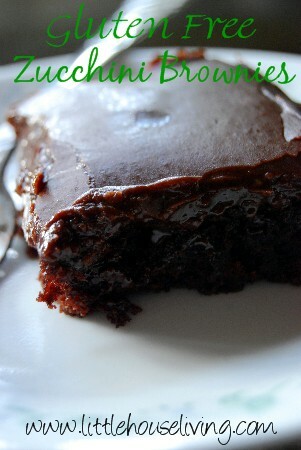 Will be keeping you’re tried and true recipe..many thanks from my allergic children and myself. Cool recipe, I went gluten & preservative free about 6 months ago and spend a small fortune on riceworks and Lundberg chips. I just made my first batch, used sesame oil and sprinkled a few sesame seeds on top. YUMMY! 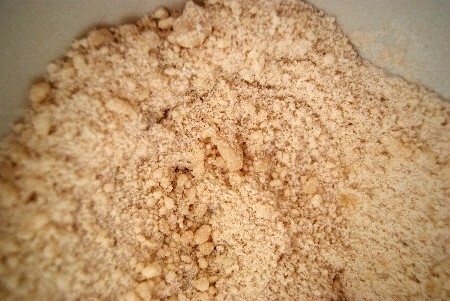 I am going to try using coconut oil and a little bit of cinnamon in an upcoming batch to make a sweet chip. The possibilities seem endless. 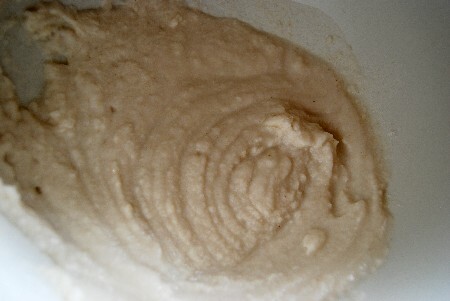 Btw I had brown rice flour but no white, so I ground my own in the magic bullet. Who knew? Great tips on this site, thanks! Made these today with rice flour mix I made the day before – consisting of white, brown, red, and black rice. Being Thai I am exposed to all types of rice, cooked in all forms and tastes. The chips turned out pretty good, second batch though because I had to adjust the cooking time. Apparently the red and black rice has a heavier consistency then just the brown and white so it cooked faster. Also had to cut back on the salt because I have become salt sensitive within the past few months. Will make again but experiment with herb combinations to replace the salt. Thanks! Yum, those variations all sound good! Well, it turned out my rice chips are wonderful replacements for tortilla chips. I had some left over homemade salsa and queso they held up great with the heavy weight of the dips. And the taste combinations were delicious! Other than the darker color my children couldn’t tell the difference. I just made these! So easy and delicious. I added sesame seeds and they gain that toasted flavor when you bake them. I also tried frying them in a pan and they raised a bit like a pancake, and tasted quite a bit like a pancake when I put maple syrup on them. 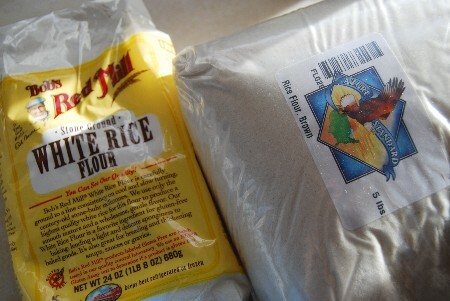 I’m getting ready to add a little more of the rice flours to make the batter thicker and see what happens because, quite frankly, the gluten free, corn free, potato free pancake mix I use is really expensive! I am eating the chips with wild garden brand hummus (traditional). Very good! Hey Linda, have you made your own hummus? In the food processor I throw in chick peas, tahini, olive oil, garlic, sea salt and lemon and/lime juice (sun-dried tomatoes optional). It’ll be cheaper than buying. I’m on the elimination diet right now, so I’m all corn, gluten and potato free too. What a challenge! Try using your favorite pancake recipe and replacing the flour with equal parts brown rice and buckwheat flour. Umm good!! Making batter thicker does not make a good pancake. It’s too dense. Hi, I generally enjoy using recipes that are EASY and thrive on using what you have in the fridge. This recipe was perfect for my craving for a cracker. I used all brown rice flour and added cheddar cheese instead of oil .Next time I will add a bit more cheese and make the spoonfuls less thick. My cracker had a great crunch but again was thicker because I over spooned. AWESOME recipe I will be playing with for a while, like someone said rice crackers are expensive but this is fun especially for those of us who enjoy the creative process as much as the Munching. I found that if you put these on a parchment paper, they get crinkles and look like lay’s wavy chips. But I also used ½ cup of water instead of the full ¾. Still q great recipe. Made these with just homemade brown rice flour, added water little by little, sprinkled them with garlic salt and baked ’em. They turned out well! Though I had to flatten them a bit after they became firmer in the oven. I flipped them also and baked them for a total 20 minutes (more or less). Indeed, they would be great with some salsa!